Back in 1987 a PC action role playing game called "Ys I: Ancient Ys Vanished" hit the shelves. It was a top down styled game where you played as a young red headed man named Adol, and it featured a "bumper-car" like gameplay. You explored different areas and dungeons, you ran into enemies until they exploded, and the gameplay in general felt a lot more like an arcade game than an RPG. Everything was fast moving, the level up system was more along the lines of a scoreboard system than the standard "level grind to get stronger" set up many games today still use, and it was a game that featured a full storyline as well. At the time of its release, Ys was a groundbreaking RPG, and its legacy would soon continue on for many years to come. Since the original Ys, there have been many entries in the series across a wide verity of platforms. While there are currently 8 "main" titles, there is actually well over a dozen titles in all (including an MMORPG). Some of these releases are simply remakes of older games, but others take the word "remake" to a whole new level; including the brand new "Ys: Memories of Celceta." Ys: Memories of Celceta is a remake of the "fourth" main entry in the Ys series, but it isn't truly a "remake." 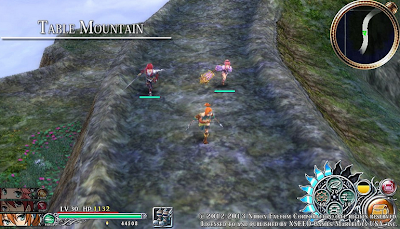 Originally Ys 4 was developed by two different teams, and the end result was two separate games. The game's story was originally created by the developers of Ys, Falcom, but the two development teams which gained the rights to the story each took it in their own directions. The end result of this strange development process was a "canon" Ys 4 (titled "Mask of the Son") and a non-canon "retelling" of sorts titled "The Dawn of Ys." While both games were in fact Ys 4, Falcom themselves never did develop their own version; that is until now. 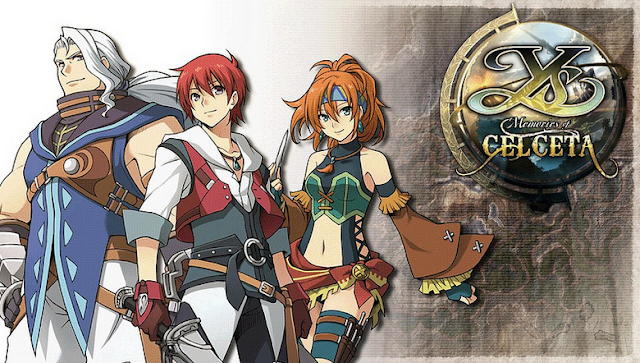 Although Memories of Celceta is a "remake" of Ys 4, it is Falcom's version of the game, a completely new entry in the series based off of an old storyline. So, after all these years Falcom finally stepped up to the plate, but how is the game? Is it worth buying if you own a PlayStation Vita? Or is this one of them RPGs that will get lost over time? Let's find out. While Memories of Celceta is "Ys 4," it's story actually takes place after Ys II. 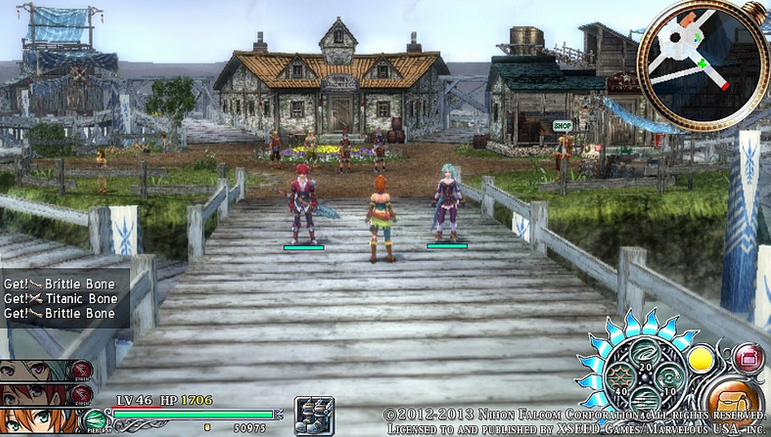 Although the game does continue the story of the previous game's adventuring main character Adol Christian, it is a very self contained plot. 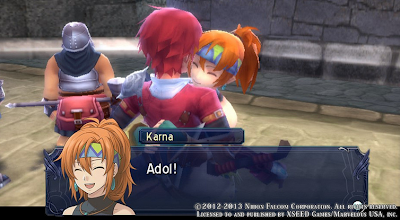 No previous knowledge of the series is required, and not even Adol himself knows who he is, or why he is where he is today. The game begins with Adol stumbling into a strange town with no memories what so ever. He doesn't know who he is, what he is doing there, how he got there, or what happened to him, but he decides to continue to press on and slowly make his way to the local inn. Here is where he meets a strange man who apparently knows him, and some light begins to shine on the dark void around him. 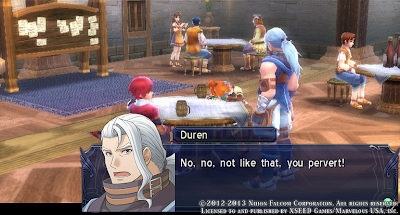 The man's name was Duren, and according to him, Adol had gone into the "forest," an unmapped area which no one had ever returned from. 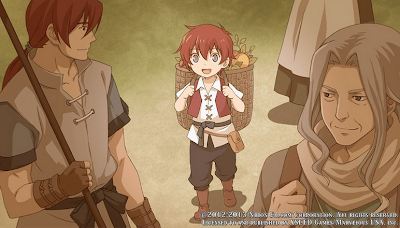 This information leaves Adol completely confused, but he doesn't let it stop him. Although his memories were gone, Adol's strong sense of justice still remained, and after a series of events (one of which being a rescue operation), Adol learns what he must do to set things right. From that point on, the story of Memories of Celceta begins to change. While the intro itself feels very choppy and a little rushed, the game soon involves into a series of story arcs which pushes Adol deeper and deeper into the very same forest. After being asked to map out the place, Adol and Duren head inside into the unknown, where they soon get wrapped up into a series of strange events. As they come up to each town, they find themselves thrown in jail time and time again for something Adol had apparently done, and in the end they help resolve whatever issue Adol apparently "caused." This pattern repeats itself time and time again, but each time a new character enters the plot, and more of Adol's memories become unlocked. By the time the game actually progresses enough to really develop a story, the game's focus also shifts. 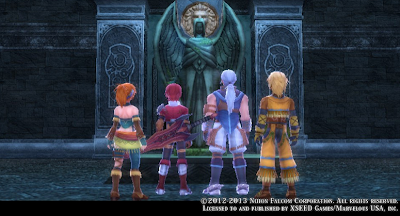 While in the beginning the game is about Adol and his missing memories, by the end, the story focuses more on the character's Adol meets, and on the history of the forest as well. Although the plot has a rocky start, it does smooth out as time goes on. Ys: Memories of Celceta is an action RPG just like the previous entries in the series, but it plays more like Ys Seven on the PSP than any other game. The game is completely in 3D (but with a fixed camera angle), there is a party system which allows you to have three characters on screen at anytime, the world is completely open, and the combat is extremely fast paced and plays out like a hack and slash. The game starts out by throwing you into the forest, and leaving you to semi-figure out where to go for yourself. There are many paths to explore, but markers are in place to help you find your way. As you walk down the different paths, and uncover parts of the map, you will come across a wide verity of enemies as well. Most will attack you on sight, but this is not always the case. Just like in most action games, each enemy you encounter has their very own attack pattern, and defeating them all comes down to your skills, as a player. While killing them will net you EXP to level up your characters and make them stronger, skill is still the main focus in this one. 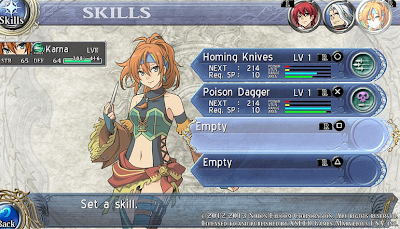 There are also a wide verity of playstyles for you to master, so it's not like you have to get used to using Adol's sword. 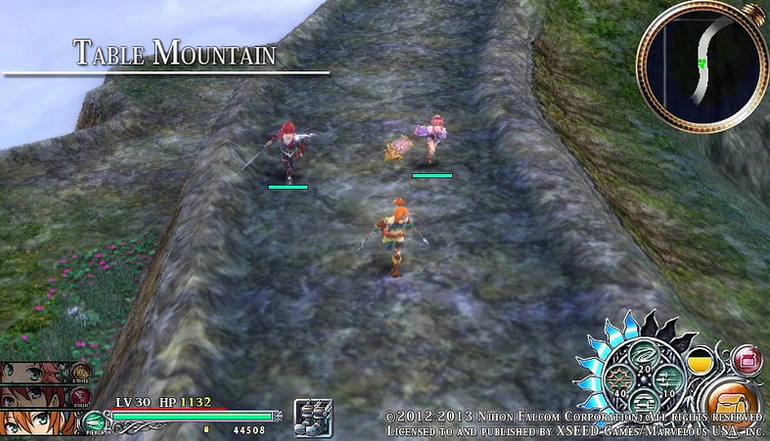 While Adol is the main character of the game, you can actually play as of the party members. Although only three party members can be out on the field at once, you can actually pause the game, and switch them out freely when the situation calls for it. Each character plays completely different, with their own attack styles and skills, but that's not their only main differences. 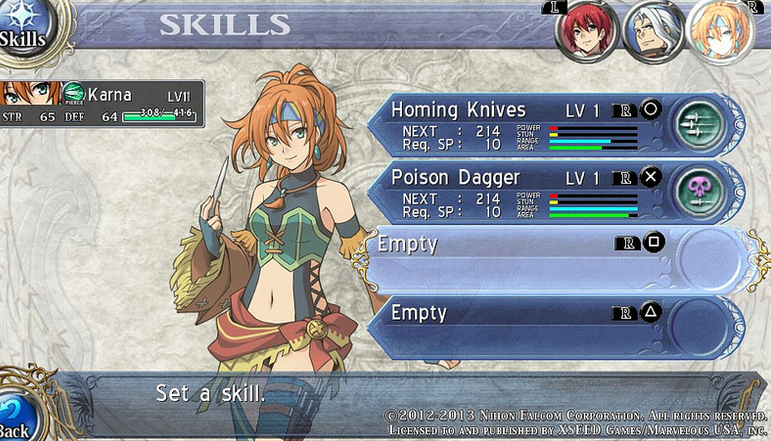 Enemies in Ys are weak against different types of attacks, and each party member has their own attack "type." Some party members have slash attacks (such as Adol with his sword), others have pierce attacks (Karna with her throwing knives), and then there are ones with strike type attacks. Not all enemies are weak to every type of attack, so when planning out your party you really need to think about what type of attacks you will be needing to use. You can also switch between party members to focus on enemies weak to different types if you wish, but the AI will normally handle that for you. Although each character has their own fighting style, and attack type, characters do all contain the same basic moves. Characters can block attacks, dodge attacks, and they can use other special abilities by equipping special items (one of which allows you to run extremely fast), so no character truly is better than the others. It really all comes down to your preference in fighting styles, and how skilled you are with said style. On top of that, the dodge and guard systems are a bit deeper than they first seem. While dodging gets you out of the way of moves, and guarding lessens the damage, by guarding or dodging the moment an attack hits you, you can also receive other bonuses. While perfect guarding will block all incoming damage, perfect dodges will help fill a bar at the bottom right of the screen which will allow you to pull off special attacks. Both of these moves become key no matter which character you are playing as, but they can also make the game a bit too easy at times. 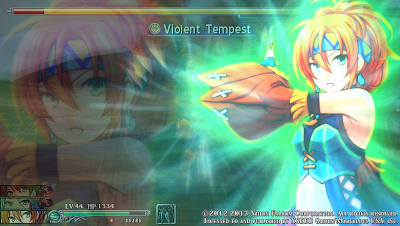 Special moves/skills are also very important in Memories of Celceta, and each character learns a wide verity of them. Skills can be set to the four face buttons, meaning you can only have four equip at a time, and they become unlocked as you attack/use skills as characters. When you first learn a skill it will be weaker, but the more you use it, the stronger it will become as well. On top of that, by using a skill to finish off an enemy, you will actually recover more MP, which in return will allow you to use the very same skill again. This becomes very helpful when fighting large mobs of enemies, especially when the skill you are using is an AoE (Area of Effect) attack which hits more than one target at once. Besides switching between party members to hit enemy's weaknesses, the switching system also has another major use, but this time around it is tied into exploration directly. Each party member has their own ability which can be used to help advance through the game. While Karna (a young woman you meet early on in the story) can throw knives to cut ropes to lower sections of ground to cross gaps, Duren can pick locks, and another character you meet early on can break walls. Throughout the entire game you will run into areas that will require specific characters to access, so you will constantly be switching between party members. It can become annoying at times (considering you may not even use some of these characters in your party), but at least switching between characters is fast and easy. Towns also play a major role in the game, but they aren't really areas you will spend a lot of time at; they are mostly areas for story progression, but they are also where you will need to go to get new equipment, upgrade equipment, and take on side quests. Each town in the game features their own quest board where you can take on smaller jobs which you can complete while you go through the main story. While some side quests are limited time only, others last forever, and can be finished at any point in time. Like in a lot of RPGs, Memories of Celceta has an upgrade system, which can be ignored when playing on lower difficulties, but is key when playing on higher. Every single enemy you beat, and every plant or rock you smash will drop some sort of material, and these materials can be then taken back to one of the towns to be used as upgrades. By paying a fee, you can add special effects onto your weapons and armor. These effects range from status effects (such as adding poison to your weapon), to giving you the ability to heal yourself as you deal damage, to simply having a higher chance of landing critical hits on your enemies. The more you upgrade your equipment however, the higher the price will be for the next upgrade. It burns through your cash quick, but the very same system can be used to help gain you money as well. Different items you pick up around the world can be refined into higher selling items. By getting a set amount of items, and going to one of the shops in town, you can fuse the items together, and create something that can be either sold, or used to complete side quests (which may or may not give you a cash reward in return). 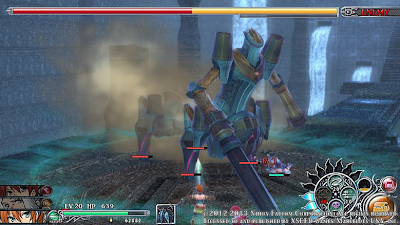 The final main aspect of Memories of Celceta's gameplay comes in the form of a special type of equipment which can be found throughout the game. Throughout the adventure, the party will gain the use of special items, which, when equip, will give you new abilities to help you progress. Early on one item allows you to shrink to mini size so you can go through smaller passages, not too long after you gain one that allows you to swim underwater, and you also get an item which allows you to run fast up slopes. These are just a few examples of the items you'll come across during your adventure, and most of them are required if you want to progress. Later on these very same items can be upgraded to increase their effect, but they too will require special materials to craft. Besides all of the standard gameplay elements, Memories of Celceta does have a few "extra" sections as well. At times you will come across puzzles you'll need to solve to advance, and other times you'll need to collect memories hidden across the map and use them to answer questions which come up during the story. These sections of the game are very few and far between, so they do not have a major impact on the game or its progression, but they are there. Although, they are very simple, and most puzzles can be solved within a few seconds. Other extras include mini scenes you can receive from talking to NPCs, but they too do not really add much to the game, and their only real purpose is for you to earn trophies. 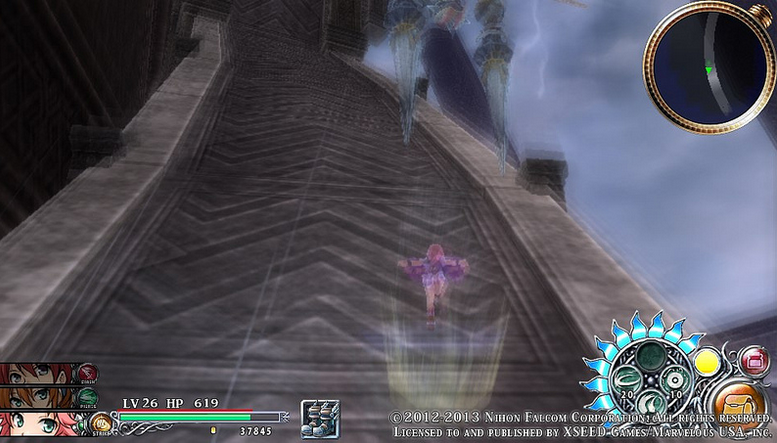 Ys: Memories of Celceta is a great PlayStation Vita game to have if you're a fan of action games, and RPGs. It is a very solid title which will easily last you around 30 hours; if not more. The gameplay is fast paced and fun, the characters are likeable, there's enough extra content to keep you playing long after you've completed it, and the game has a very nice soundtrack! Sure the game's story does have a bit of a rocky start, but a few hours in things do smooth out, and you will begin to care about the people you meet throughout the adventure. There is also a bit of humor in some of the scenes, but not everyone may find these moments funny. Even so, it is clear that the translators had fun with this one. The only real downsides to this game come in the form of its difficulty. Memories of Celceta is a very easy action game, and they do not give you the option to increase the difficulty once you start it; they only allow you to lower it. If you are skilled with action games, it is better to start the game out on the highest difficulty setting possible, and lower it only as needed. Still even with the increased difficulty, it is very easy to break the game if you know what you are doing. The character Karna for example, it is possible to fuse every status effect into her throwing knives, and she is able to throw each knife almost as fast as you can press the attack button. Each attack will stun, burn, poison, and put enemies to sleep (among other effects), and before you know it, everything will fall pray to her. Now sure, Karna isn't the only character who can out put this sort of damage, but she is in the top tier. Still, this "downside" is really objective. Some people may prefer easy games, while others may prefer the challenge. If you like easy games, then Memories of Celceta will be great for you, and if you like harder games, it is still worth playing on the harder modes. It isn't a complete push over, and you can make it easier or harder simply by using stronger or weaker equipment. Another thing that will stand out about the game is its art style and graphics. While the anime art looks great, and brings a lot of personality to the characters, the 3D models and the world itself is a bit lacking. Considering this is Falcom's second 3D game, they aren't that bad, but it is a bit strange seeing as this is a Vita game. Still, you can see what is going on, the anime style really does fit the game, and the ability to zoom the screen in and out does help at times. It may not be some HD game with detailed 3D models and a detailed world, but it does get the job done, and for that I cannot lower the game's score for it. Overall, Ys: Memories of Celceta was a great game. Even if I personally didn't receive this game for free, I would have still been willing to go out and buy it at full price. It is a game worth owning if you have a Vita, and it is a great way to kill some time. Even after you beat the story you can always go back and play the extra modes (such as Boss Attack). 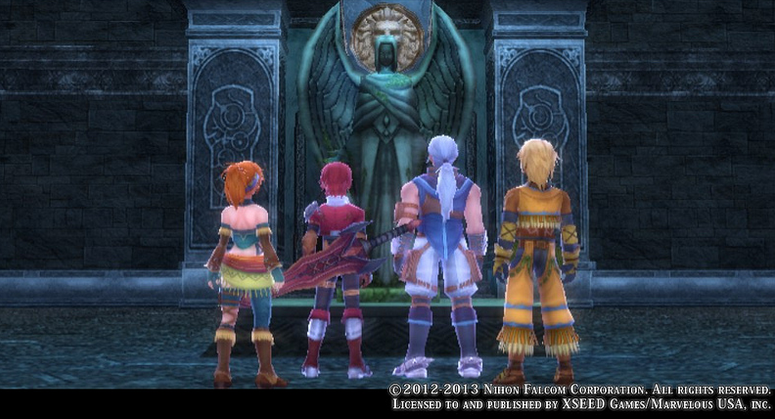 In the end, I give Ys: Memories of Celceta for the PlayStation Vita, a great score of 7/10. If you have a Vita, you should really check this one out.